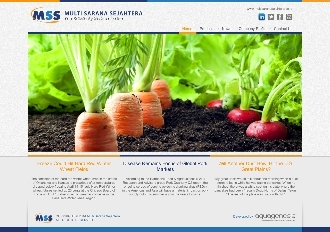 Multi Sarana Sejahtera has been in business for years. Their target is to reach even wider market using internet as media, also to be known as the top in the business field. The objective is to build an educative website in its field. The challenge is that it has to be simple yet tempting for audience to learn and use. Variety color set will be composed and utilized to rise audience curiosity to exploring the knowledge served in the website.